Actively managed funds seek to add value through conventional securities selection methods. 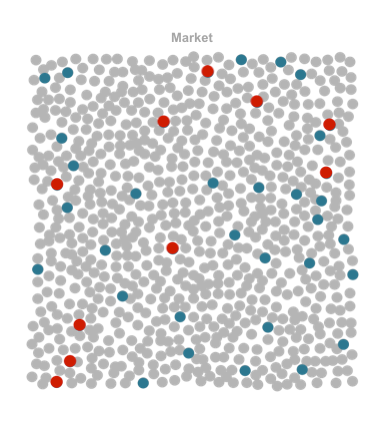 Sustainability-oriented active strategies select or exclude companies – usually large cap – based on fundamental analysis of the businesses, including their carbon-intensity and sustainability practices. Some research suggests that, on average, sustainability leaders are better managed than sustainability laggards in comparable industries and, therefore, are more likely to outperform. If so, the odds of such funds beating their index may be higher than the average actively managed fund. 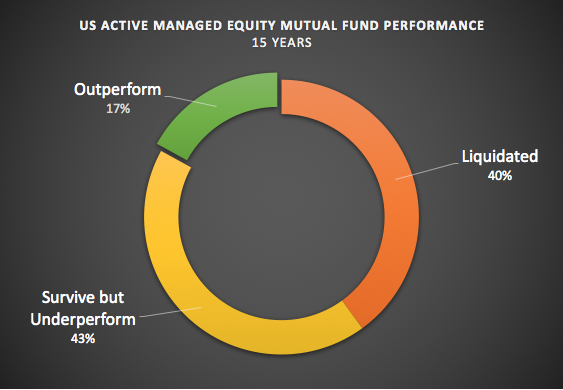 Actively managed funds typically charge higher fees than index or factor funds. This is one reason why few beat the market over the long run, net (i.e. after) fees. Sources and notes. Beginning sample includes US equity mutual funds as of the beginning of the 15-year period ending December 31, 2015, net of fees. Survivors are funds that were still in existence as of December 31, 2015. Non-survivors include funds that were either liquidated or merged. Outperformers are funds that survived and beat their respective benchmarks over the period. Past performance is no guarantee of future results.